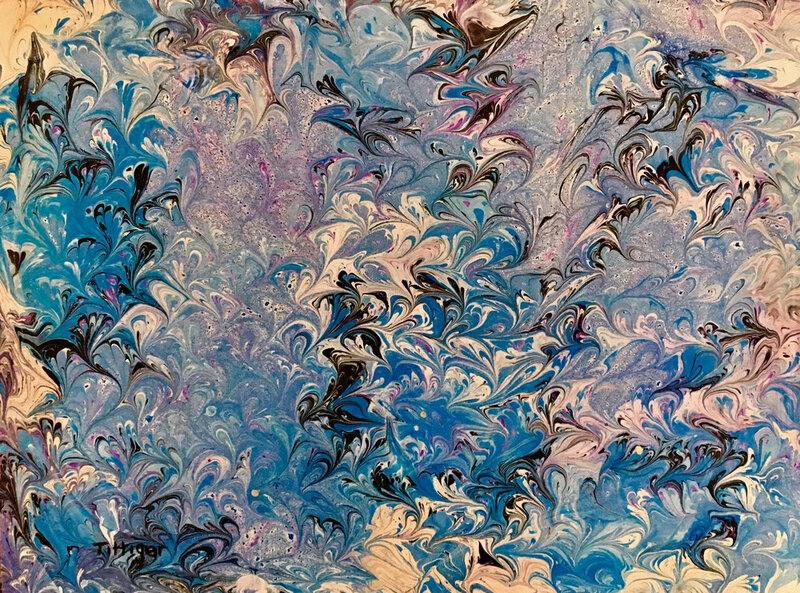 This is an 18 x 24 Acrylic Marbling with beautiful shades of blues and lavender. This is a beautiful 18 x 24 Acrylic Marbling that has so many shades of pinks and purples. 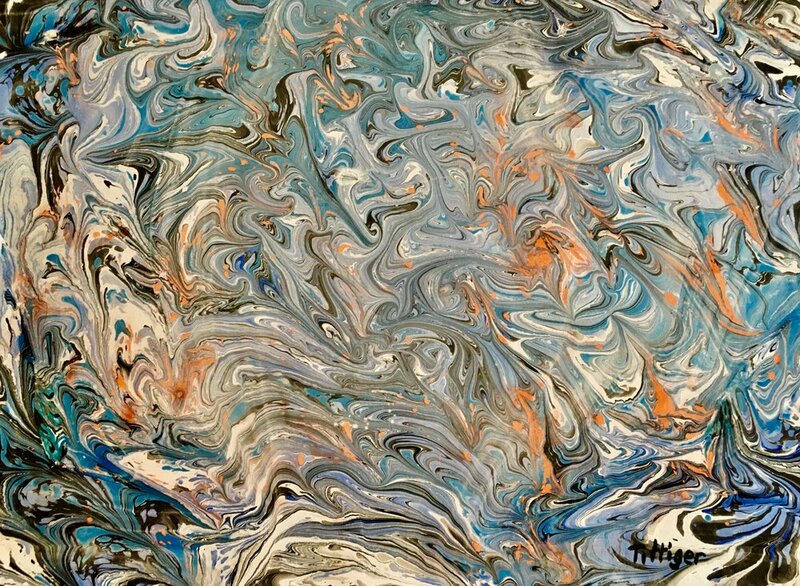 This is an 18 x 24 Acrylic Marbling that reminds of the sun rising. This painting appears to have an Angel in every corner. You can see the wings. The colors are beautiful shades of blue. 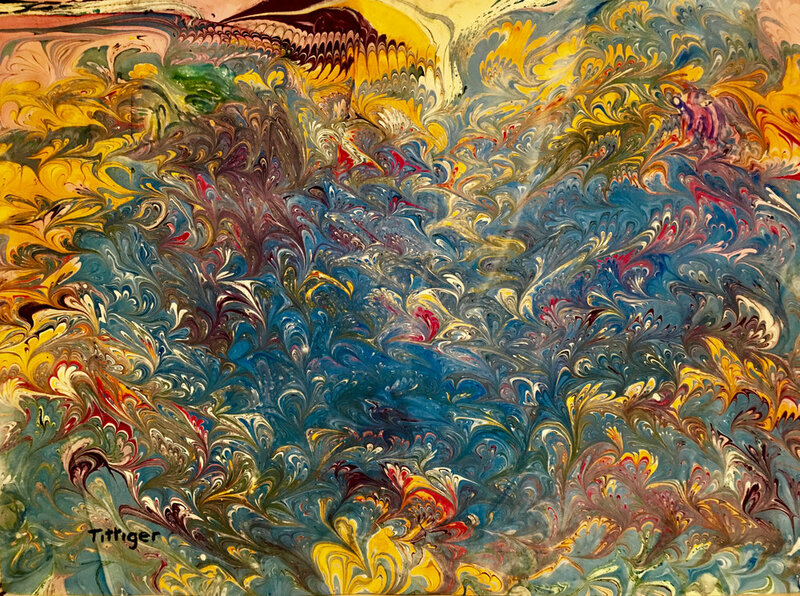 This is an 18 x 24 Acrylic Marbling of numerous colors. The effect is made with a comb. This is an 18 x 24 Acrylic Marbling that reminds me of taffy.